You can now follow me on Instagram @gathertoenjoy !!! In addition to blog posts, I occasionally post my meals and other fun things! Follow me today! Enjoy your day by showing kindness to others and yourself! 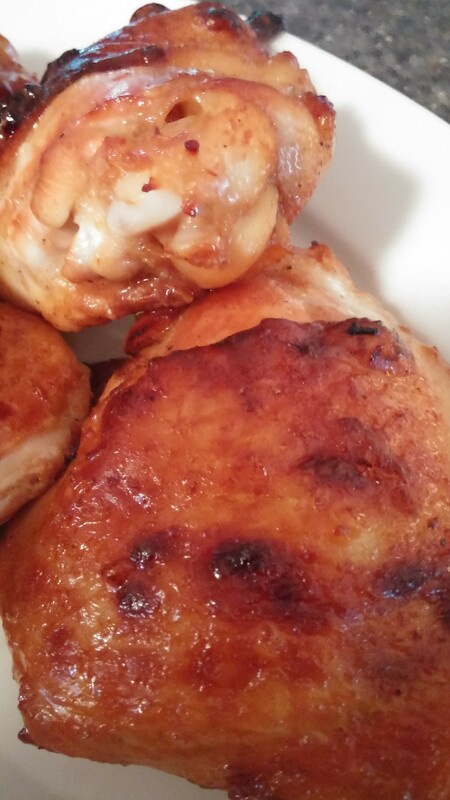 Today I am sharing a NEW chicken recipe! I am very excited about this, as I have shared before, there is a lot of chicken cooked in my house for my family! It can be challenging to come up with NEW recipes! I found a similar recipe on the internet and changed it to make it my own! The results were great and a big hit! It is also fairly easy to throw together and very economical because of the piece of chicken used. 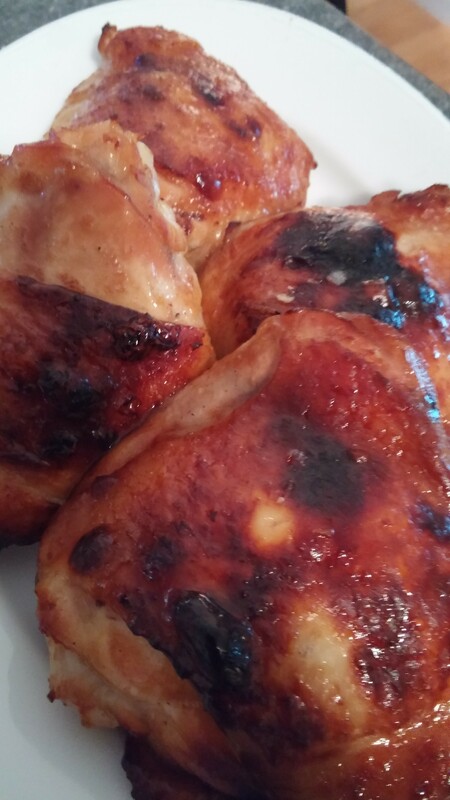 I purchase a big pack of 8 chicken thighs at Wegmans for under $4 and that makes 2 batches! Give it a try, yummy! ENJOY! Join me back here tomorrow for a Patriotic Party!! Preheat oven to 425-degrees F. Combine all marinade ingredients in a Ziploc bag, add in chicken thighs. Marinate in the refrigerator for 2 hours, can do overnight. Pour the chicken and marinade into a square baking dish. Bake for 25 minutes in a 425 oven, skin side up. Turn the chicken over, skin side down and bake 10 more minutes. Turn it back over, skin side up and bake 10 more minutes. Check for doneness internal temp of 165 degrees. ENJOY!